One problem for a gardener who chooses to go away on holiday in May is the work preparing to go away and then to catch up on your return. This is especially so when you have an open garden date looming in June. This also applies to catching up on reading and writing blogs. Here is a quick tour of our garden@19 to see what is currently performing following the absences of the gardener. 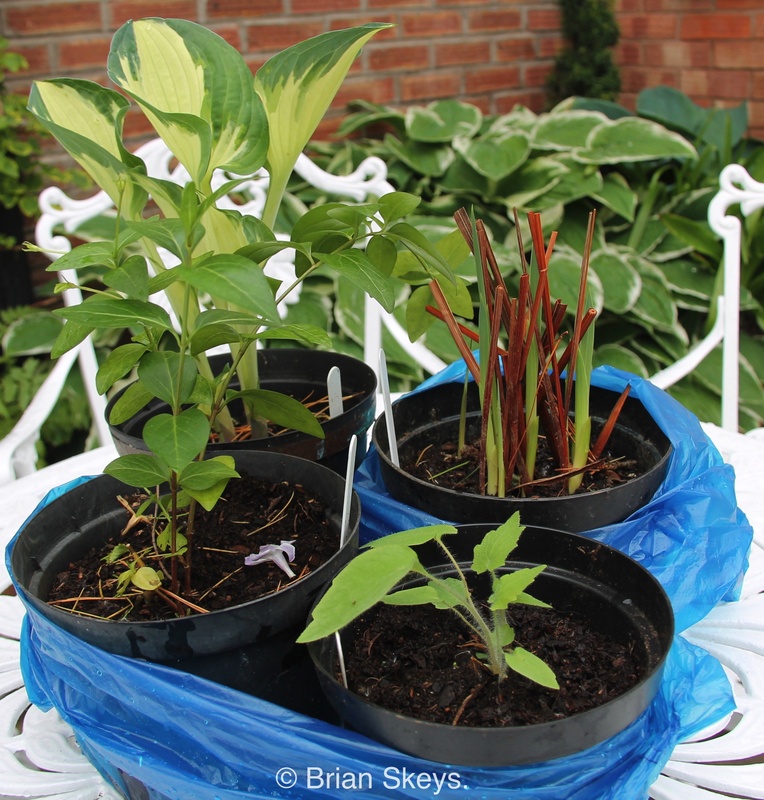 The copper barrier has so far protected the Hostas, although we have not yet had any challenging slug weather. (warm rain). Leading off the patio the white wisteria has survived the late frost and is now in full bloom. The Iris sibirica are just stating to open, this is such an easy, beautiful plant to grow. The Welsh Poppy cheerfully seeds itself around every where. The last of the Rhodo’s to flower. The Clematis are beginning to do their thing..
…along with a new Climbing Rose, which true to its name, it is the first to flower this year. Whether Home or Away, take a seat for a moment and enjoy a garden. This weekend is the NGS Anniversary Weekend Open Gardens. 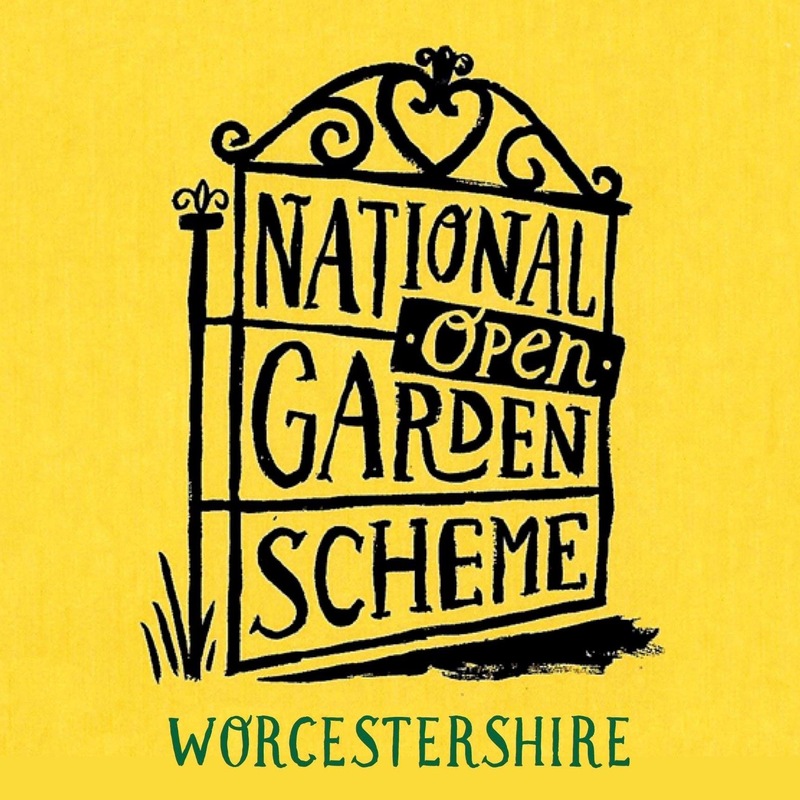 May 27th to 29th is their 90th Anniversary weekend and will see over 370 gardens opening for a weekend of horticultural delight. 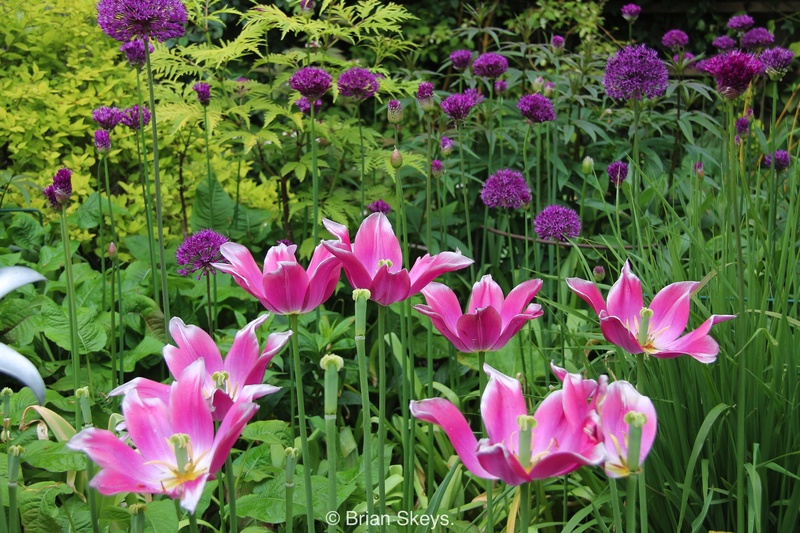 What is ‘Performing’ for you in your garden in May? 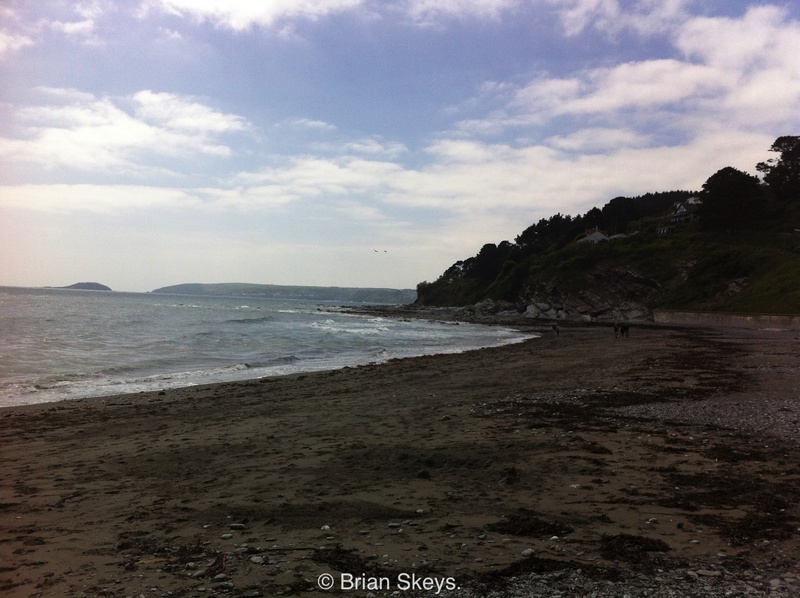 We have just returned from an enjoyable holiday in Cornwall. Staying at Tregrill Farm Cottages, owned by Peter and Diane Bellamy, who previously lived near to us in Worcestershire. 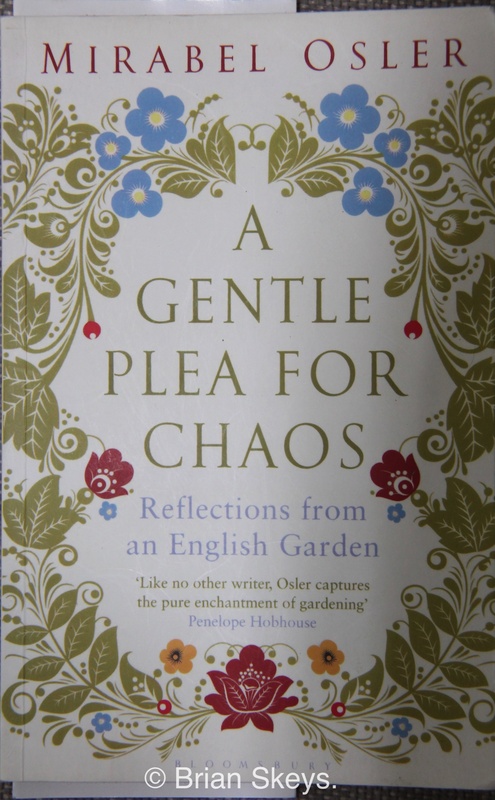 My holiday reading (along with my blog list), I was attracted by the title, it perfectly describes my gardening philosophy. We visited gardens (More of these in a later post), which of course led to some retail therapy. On Gardener’s World on Friday night ‘Monty’ in his list of jobs for the weekend mentioned dead heading tulips. Wordless Wednesday 3/5/2017 Recovery Position.